In late February I received an email asking for help with a thoroughbred breeder in trouble. Two years prior, he received a kidney transplant and was very ill for many, many months. He left his farm that he loved dearly in the care of others and unfortunately, it fell into disrepair. Then his kidney transplant failed and things went from bad to worse. Fences started falling down, horses started getting loose. The township finally made a deal with a local kill buyer to remove any horses remaining on the property on March 20, 2012 and take them to the local auction. 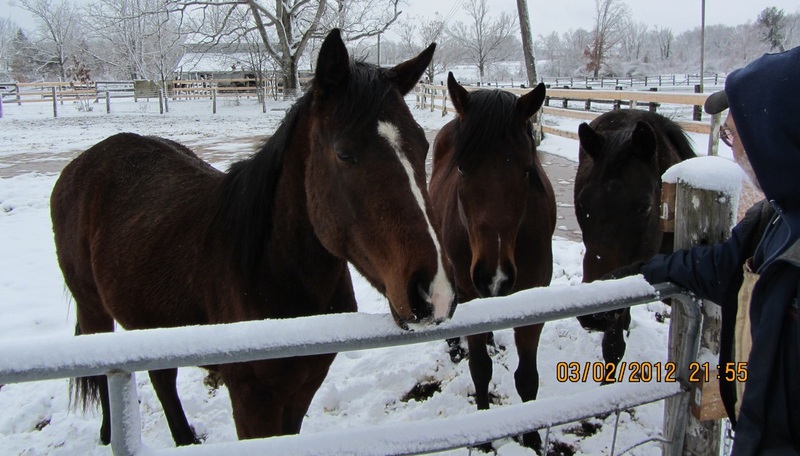 Our rescue, along with the Michigan Horse Welfare Coalition, started working to place 23 horses on the farm. It was not an easy task. There were broodmares, babies, his prized and precious stallion and some stallions that had not been handled since they were very young.